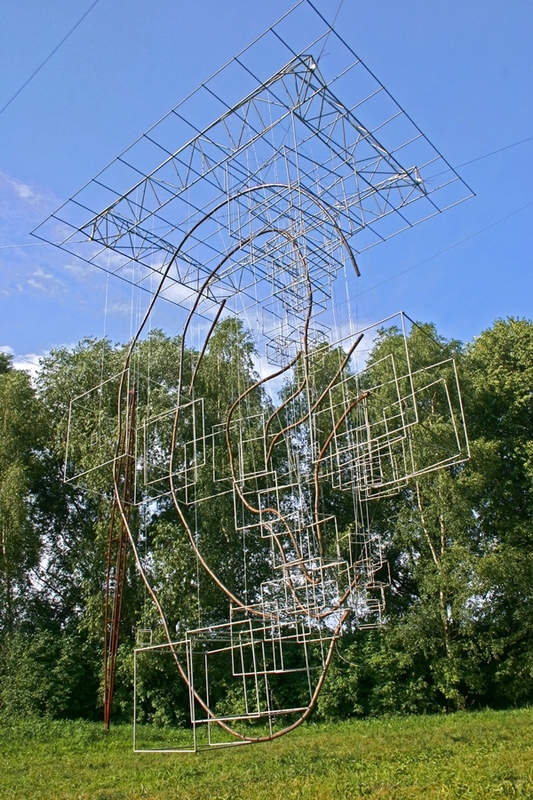 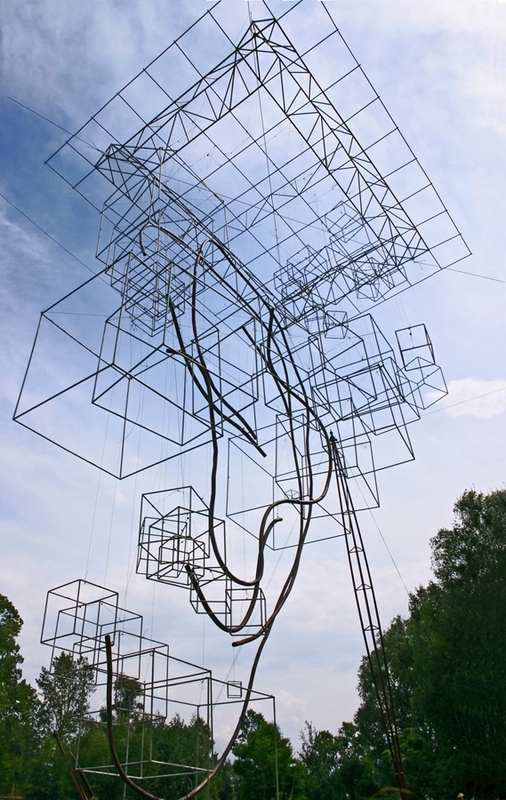 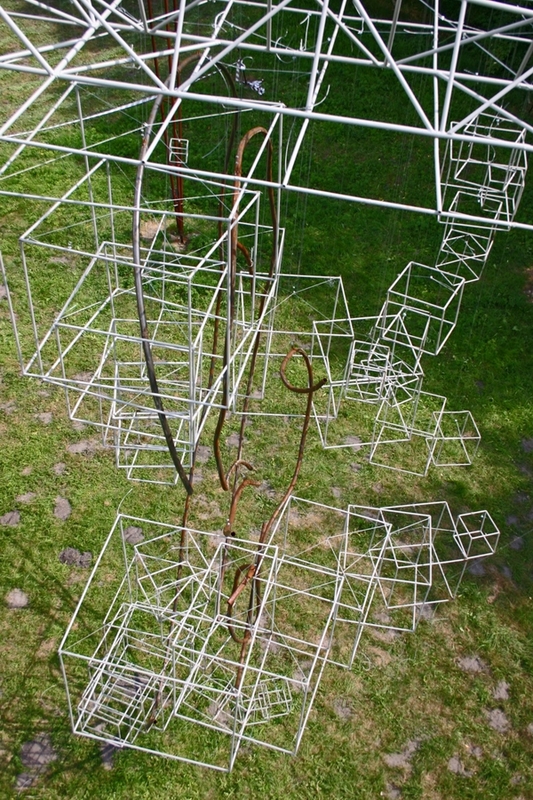 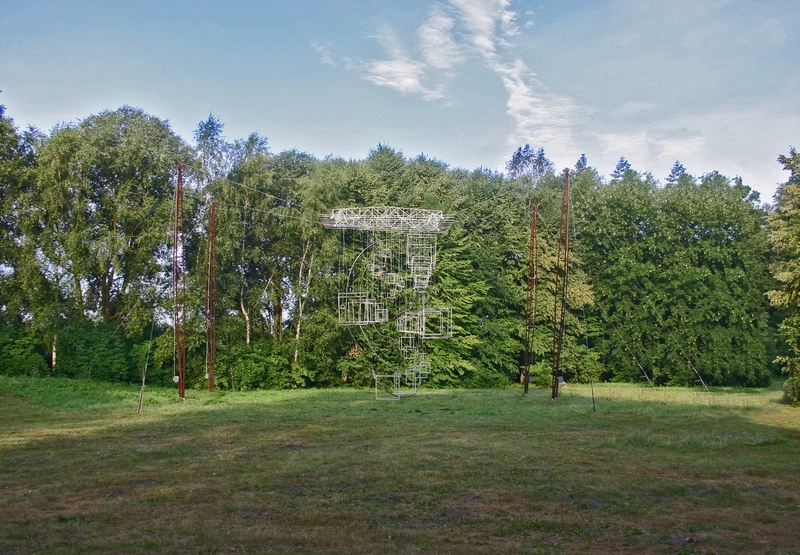 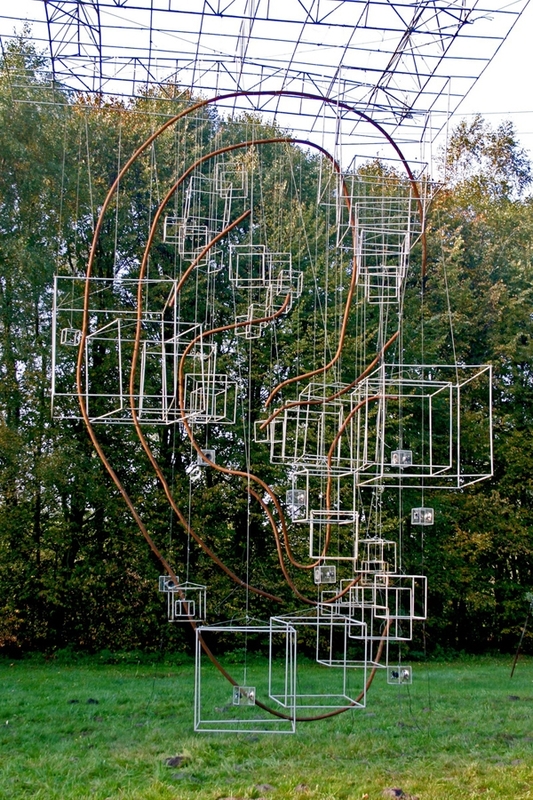 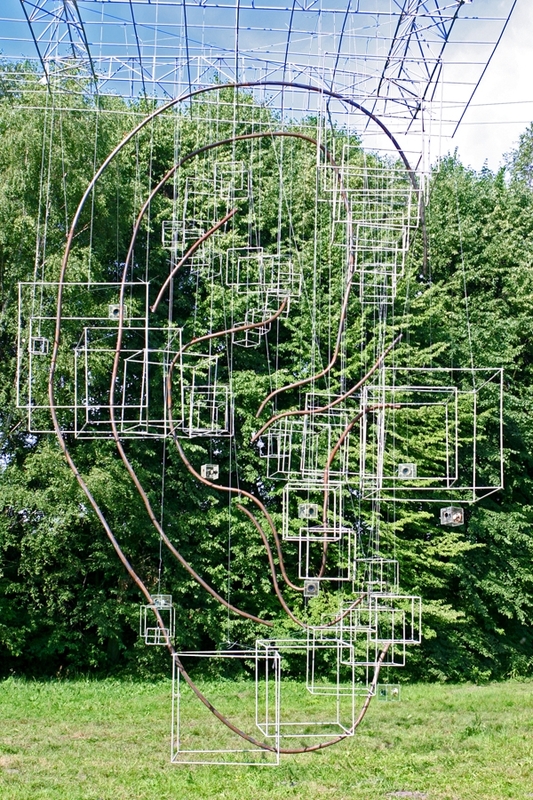 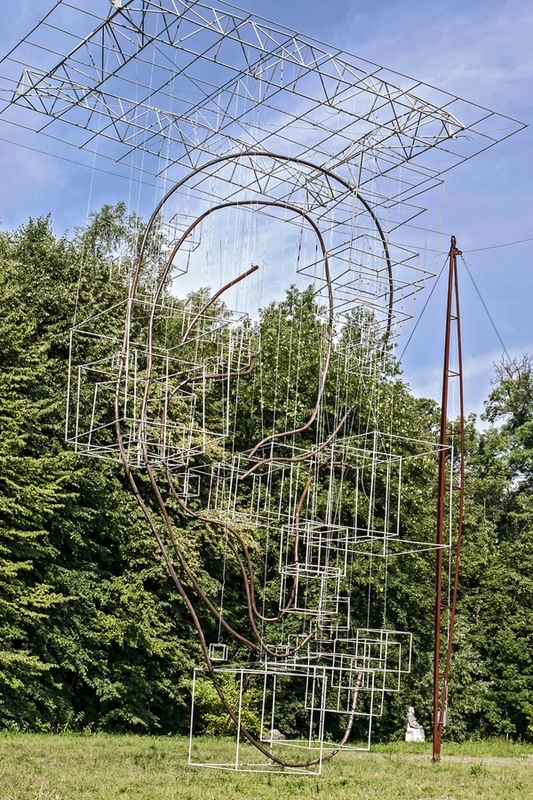 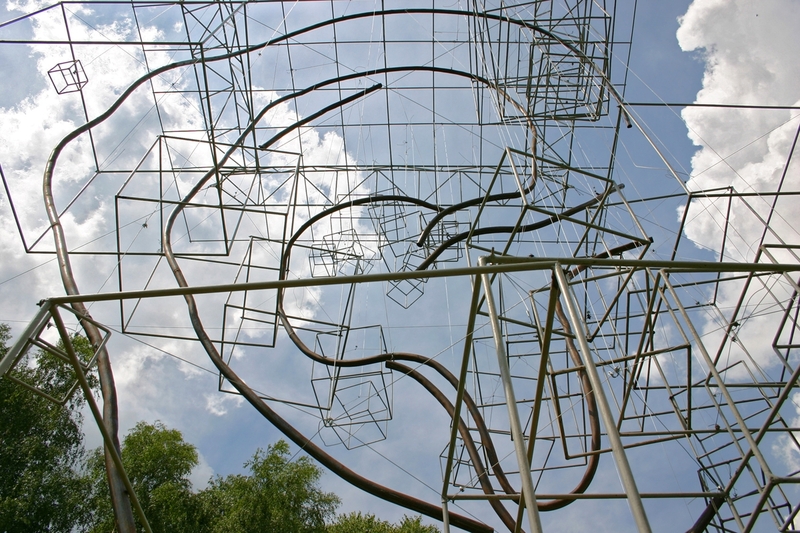 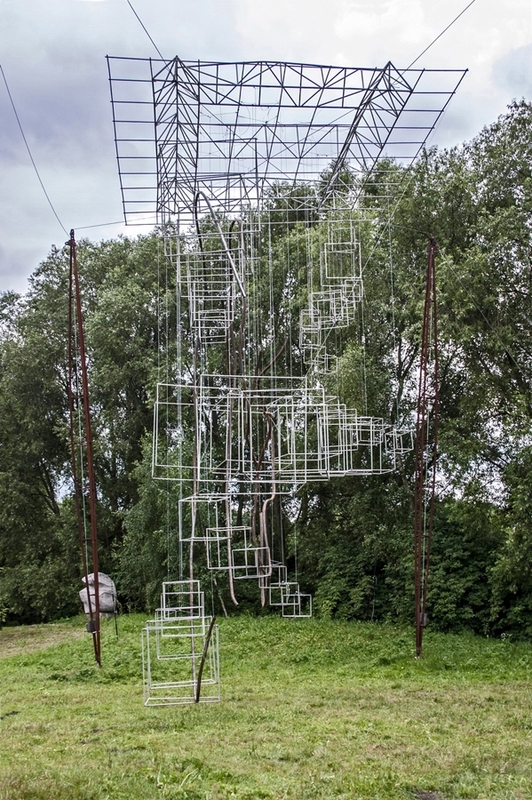 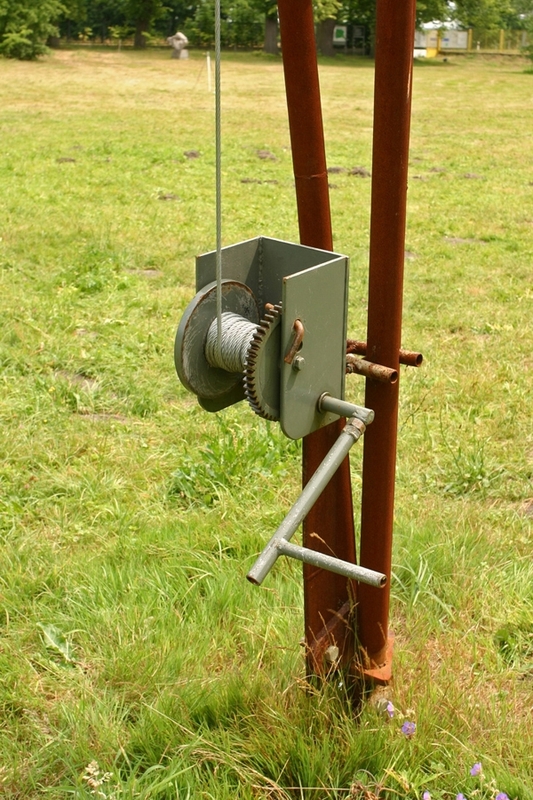 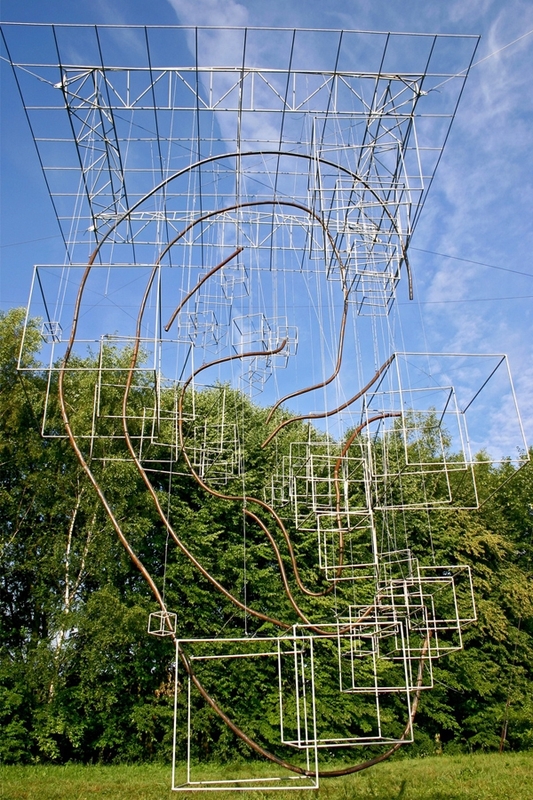 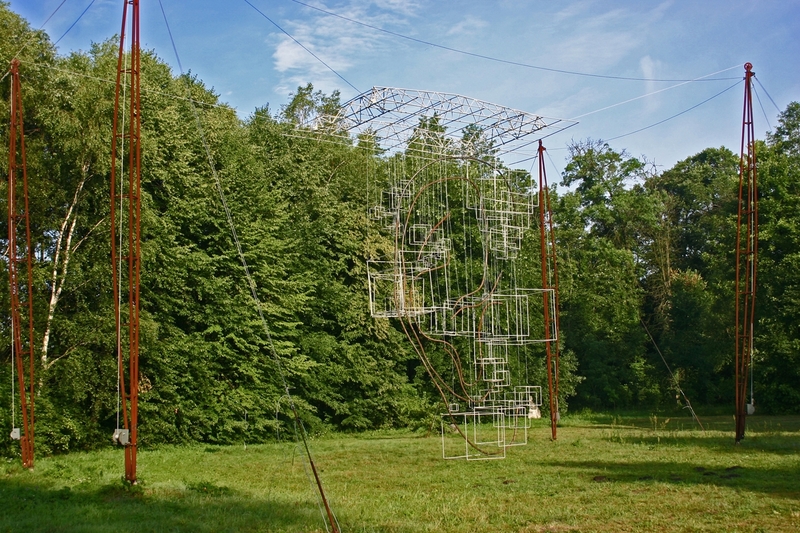 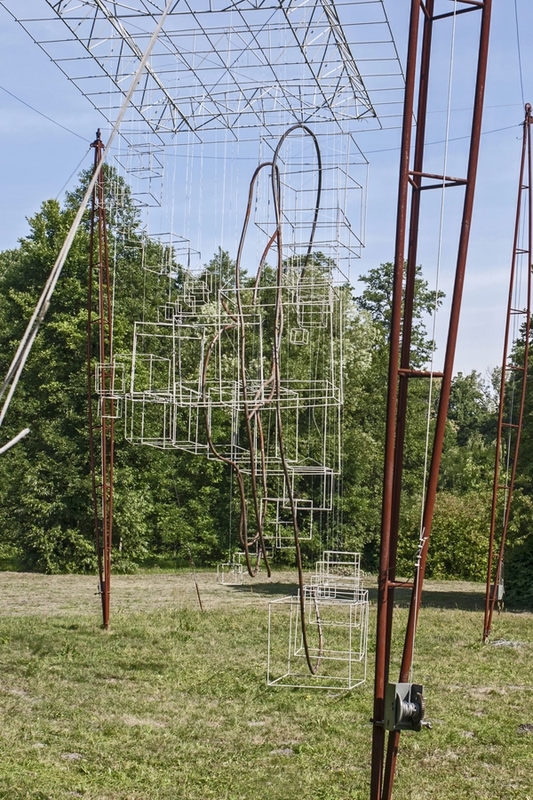 The Center of Polish Sculpture in Orońsko, Poland; 1150x3500x2500cm, steel, microports, loudspeakers. 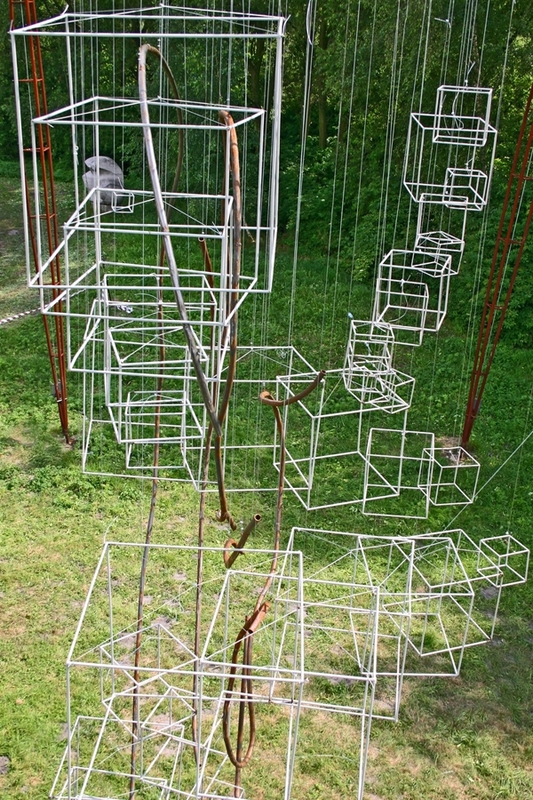 Project refers to time and space unity. 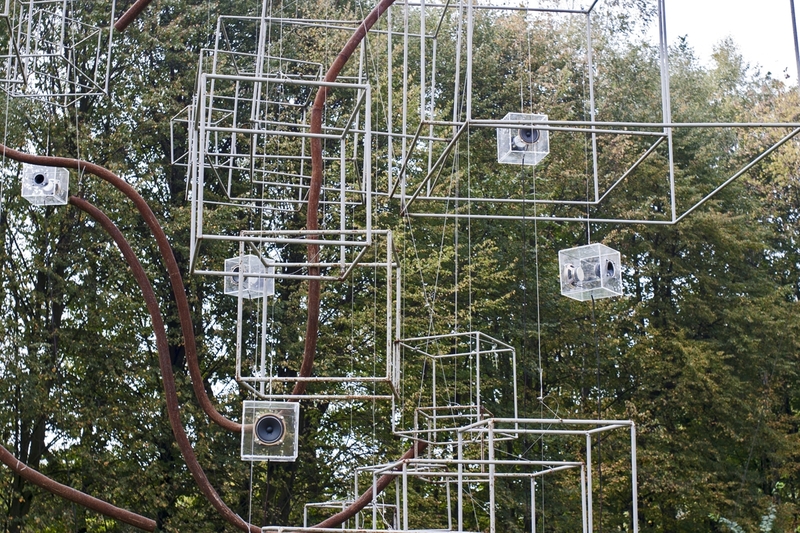 By the collage of sounds produced by the loudspeakers installated inside The Ear spectator embraces surrounding space. 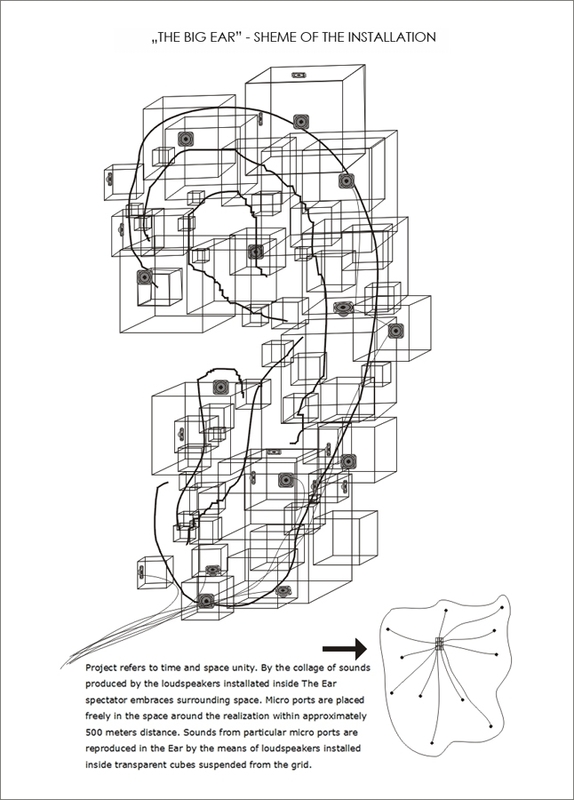 Microports are placed freely in the space around the realization within approximately 500 meters distance. 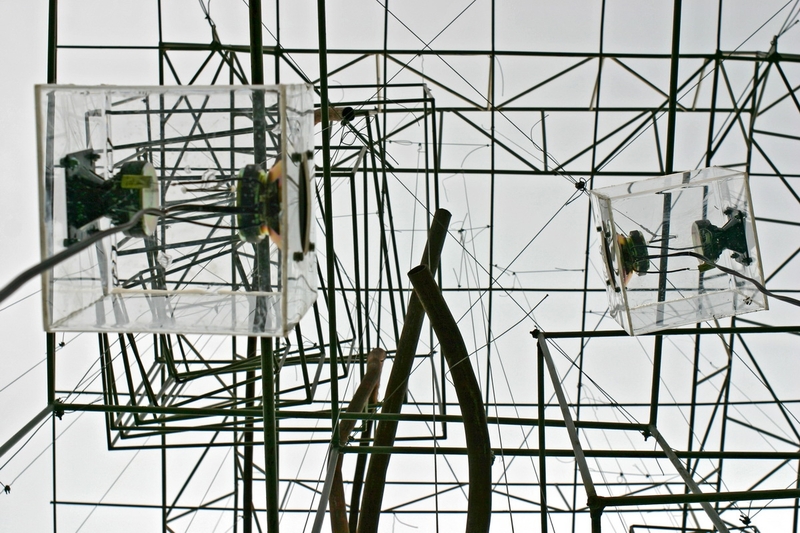 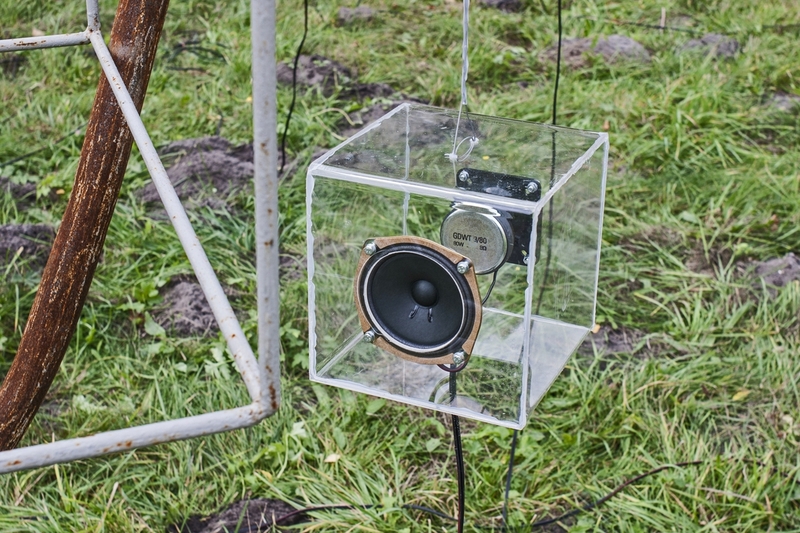 Sounds from particular microports are reproduced in the Ear by the means of loudspeakers instalated inside transparent cubes suspended from the grid.